Losing my dad to cancer a few days ago, and watching him die, made me reflect on how he lost his own father. He was six-years old, an only child, and his mother Mary, a devout Methodist nurse — who we called ‘Nain’, the North Walean word for grandmother — told him first thing in the morning, then packed him straight off to his Wallasey school. My granddad, William Jones — or ‘Taid’ —was born in another world, in 1895, in a tiny settlement in the Llŷn Peninsula, in Welshest North Wales. Along with his brother, he served as an officer in the Merchant Navy, one of the deadliest occupations in World War II, helping save Britain from Nazi-induced famine. It was a big deal for the people he grew up with, who called them both ‘the captains’ (‘y capteniaid’). 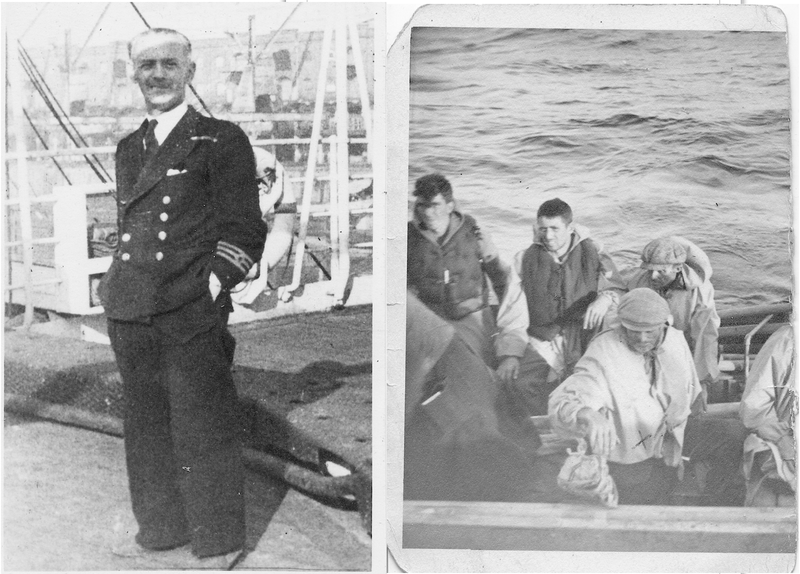 William had survived Hitler’s bombs: twice his ship had been sunk, and he spent 10 days on an open boat in the Atlantic before he was rescued. In the end, it was his heart that killed him and, in his mid-50s, he died suddenly onboard. He was buried in the sea, somewhere near the Canary Islands. My dad died in a Marie Curie hospice in Edinburgh, tended to by the most incredible nurses I’ve ever met, surrounded by his four children and his wife of fifty years. Bob Dylan, Leonard Cohen, The Band all played as we held his still warm hands, hugged him, told him we were there and we loved him, as he took his last breaths. Watching him take his last gasps was traumatising for all of us. Earlier that week, I’d been laughing with him at Donald Trump’s “crazy genius” tweets, talking about the life of George Washington (he loved American history) and then, just like that, he was gone. Cancer is a cruel illness which wages a remorseless war of attrition on its victims’ bodies. My dad collapsed in a Chinese restaurant during the 2015 general election campaign and — a week after Labour’s trouncing — was diagnosed with advanced prostate cancer. It was a miserable day. A few days later, lying in a hospital bed, he told me, mournfully, that he would never live to see another Labour government. Both he, and the left to which he devoted so much of his life, seemed to have been issued with terminal diagnoses. In my late twenties, I had watched my partner savaged by cancer, and then it seemed to age him: losing his hair, struggling up stairs, being easily tired. In my dad’s case it felt infantilising. As I trundled him in his wheelchair, I couldn’t help but thinking of the reversal of roles, of back when he pushed me and my twin sister in our pushchairs. There is no right way to die: that’s what my late friend Gordon Aikman — who died aged 31 last year from the horror of Motor Neurone Disease, and spent Boxing Day 2016 with my parents — taught me. But it would be remiss of me not to mention how good-humoured, upbeat even my dad was, even as it was increasingly clear that he had run out of road. The incredible love and care given to him by my mother and by those nurses made a horrible situation so much easier, too. That’s not how I want to remember my dad, though. Everything I believe in and do now — my politics, activism, writing — is, in large part, an inheritance from him. That’s what I’d like to remember. Towards the beginning of his working life, my dad worked for Hugh Scanlon, president of the Amalgamated Engineering Union (AEU), one of the most prominent trade union leaders of the late 1960s and 1970s. When the Tory Prime Minister Ted Heath introduced draconian anti-union legislation in the early 1970s, my dad was involved in the national ‘Kill the Bill’ movement which, ultimately, was successful. He met my mother leafletting for the Labour party in Tooting in the winter of 1968: it was in the middle of a snowstorm, and they quickly retreated to the pub. Left-wing politics would remain at the absolute core of their relationship. He made passionate speeches against the Vietnam War, and marched against Apartheid. In 1973, they both moved to Sheffield, just before the Tories were thrown out of office by a Labour party offering a radical manifesto. My dad became the full-time South Yorkshire organiser of what would become known as the Militant Tendency. I realise that Militant is demonised, today normally only cropping up in disingenuous right-wing attacks to make a false equivalence with Momentum, which really is something else entirely. But — unlike other left-wing groups — Militant had an unashamedly working-class orientation. It offered political education and produced brilliant activists in a variety of struggles, including those whose politics later evolved. After Augusto Pinochet overthrew Chile’s socialist government in a Western-backed coup in 1973, my parents took in refugees who fled the horror. The first family was a woman and her two little kids. She was utterly traumatised. A couple of years after she left my parents’ house, she took her own life. Both my parents enthusiastically took part in Labour’s internal political struggles. They were amongst the activists who were successful in getting arch-leftwinger Bill Michie — who himself died a few months ago — selected as Labour’s candidate for Sheffield Heeley in 1983. My dad threw himself into the Miners’ Strike, and was at Orgreave where he witnessed police officers assaulting striking miners. Even now, whenever I do talks in Sheffield, I meet ex-miners and ex-miners’ wives who babysat me, my twin and my brothers back in the 1980s, who fondly remember my father. As a baby, I would be strapped to my dad’s chest at miners’ solidarity rallies as Arthur Scargill rained passionate invective down on Thatcherism. The defeat of the Miners’ Strike was utterly crushing for the labour movement, for the left, and for my parents. It’s difficult to sum up how utterly demoralising it was for them, and for so many other socialists. 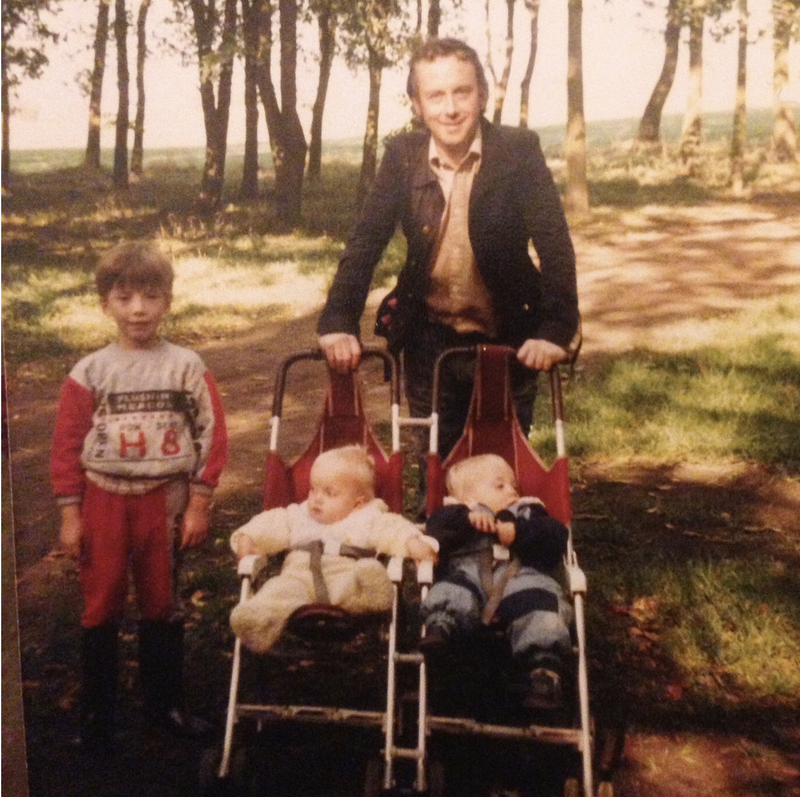 With four children to look after, skint, my dad left the Militant and took up a post at Sheffield City Council. There were still flashes of political activism. When we lived in Falkirk (for only two years: my dad couldn’t get a job in Scotland and spent weekdays in Sheffield), my parents took me and my twin on a mass demonstration against the poll tax in Glasgow in 1990. I remember it well: the banners, the chants of ‘Kick the Tories out!’ They refused to pay the tax and were summoned to court, but refused to turn up. We were occasionally taken leafletting for the Labour party, too. But when the Tories again triumphed in 1992 it is fair to say that they were utterly politically miserable, as so many were. When, in 1996, Sheffield City Council announced plans to make hundreds redundant, himself included, he played a leading role in the struggle as senior UNISON shop steward. He was in his element in the struggle, he told me. And although they lost, and my dad spent the next 18 months without a job, I am so proud of my dad’s determination to save those jobs. So what did I learn from my dad? When I became infatuated with left-wing politics in my teens, my parents had mixed feelings about it. My dad, after all, had devoted so much time, energy and life to a cause which had, it seemed, been utterly politically extinguished, which I’ll come on to. When I asked my mum as a teenager why they weren’t both still politically active, she explained that they were “tired”: they had spent decades in struggle, after all, and the defeats of the 1980s were repeated, swift, and decisive. But their socialism still shone through, and I grew up quite literally surrounded by thousands of socialist books. The reason I wanted to commit to the struggle for socialism was, as I saw it, to continue the struggle of both my parents. I couldn’t accept the crushing defeat of the cause they had fought for: it had to be reversed. In the pre-2015 era, when the left was utterly marginalised, everything I wrote or said or did had that in mind. What my dad fought for had to be, somehow, revived, in a collective struggle. In the pre-Corbyn era, it was somewhat strange for a relatively young radical leftist to be in the Labour party. But I had inherited from my father the idea that Labour was the only plausible potential vehicle for socialist change, not least because of the trade union link. My dad spent much time reading history books, sipping IPA in the living room, listening to the Blues. It was his love of history which inspired me to study it at university; and it was his love of America which led me to do a masters in US history. Militant had many flaws, but they were emphatic about the centrality of the working-class to the establishment of socialism. And that belief, again, I inherited from my father, and is why my first book, Chavs, is above all else a manifesto in support of class politics. My mother is a lifelong passionate feminist, and we were all raised on feminist lines. Our parents rejected ‘blue’ and ‘pink’ stereotyped clothing for me and my twin, and that kind of thing. After every Sunday meal, we had a family meeting to devise a rota system for the week to ensure that all household work was equitably distributed. We would all take turns to cook, to wash up. Every Thursday, while we watched Top of the Pops, my dad would cook his speciality, spag bol. Every Saturday, while my mum went shopping, I’d be woken by the sound of my dad hoovering and cleaning the house. Both my parents instilled in all of us a passionate hatred of injustice and bigotry. One of my earliest memories is my dad tearing up as the Hillsborough Disaster unfolded, a few miles from where we sat, telling us that something terrible had happened. I spent most of my childhood growing up near the centre of Stockport, and remember the casual racism, particularly the gratuitous use of the hateful term ‘p**i’. Our parents drilled into all of us that we must always challenge bigotry and hatred whenever it occurred, which we did from the earliest age. Whether it’s my opposition to Islamophobia or my support for trans rights — that’s above all else driven by that education from my parents. When Jeremy Corbyn stood for the Labour leadership in 2015, I passionately supported his candidacy with my own parents’ legacy in mind. Here was the opportunity to revive the socialism that they had fought for and then seen, apparently, defeated. 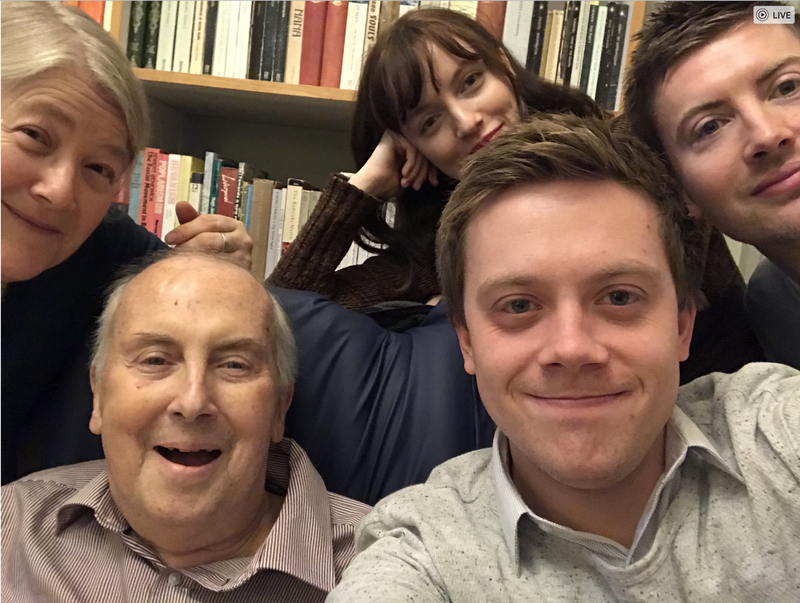 During that campaign, the Daily Mail penned a comical fictional account of a 2020 Corbyn victory, writing: “Corbyn’s chief of staff Owen Jones — a princeling of the Far Left elite as the son of two members of Militant Tendency and the grandson of a Communist — declared that the people had taken back their country.” With my parents in the audience, I read these words to a deeply amused crowd of seven hundred in Edinburgh, and then asked them to applaud my folks. At the outset of the general election, I felt moments of despondency, haunted by those words of my dad, that he’d never see a Labour government ever again. On the day of the local elections, when Labour were routed, I felt that particularly acutely. But there’s no doubt I fought publicly as hard as I could in that general election campaign — in the limited and modest way that any individual can do — partly because I knew my dad did not have very long left. For the left, it really was now do or die. When Labour’s inspiring manifesto was unveiled, finally it all seemed worth it: ideas and beliefs and causes my parents had fought for were now back firmly on the political map. “See, I was right,” he told me a few weeks before he died, a gentle, loving rib in my direction. And he was right. If Labour had been obliterated, and then my dad died a few months later, I would be beyond miserable. But as devastated I am by the loss of my father, the fact he lived — just — to see socialism re-emerge as a mass political force means more than anything I could ever write down. 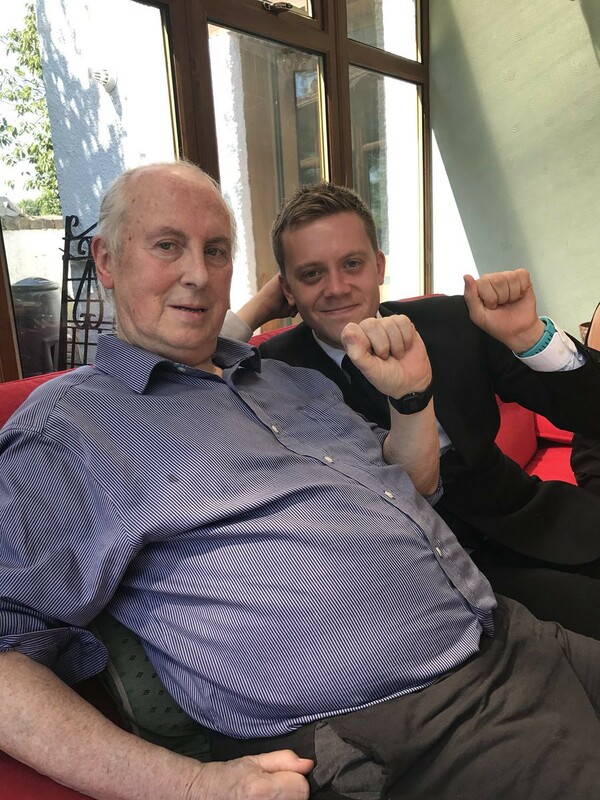 I put that to him in his final months, and he said he was just so frustrated that he could not be more involved in the struggle because of his illness — although Edinburgh Momentum, of which he was a proud member, held a moments silence in his memory the day after he died. Now I can say this, definitively. My dad was one of the countless comrades who laid the foundations for the dramatic political upheaval of last year. Yes, they suffered terrible routs, and moments of apparently total political despair. But political progress is not a story of victories and successes, more victories and more successes. More often than not it’s a story of setbacks and defeats, and more setbacks and more defeats — and then victories. My dad lived to see that it wasn’t in vain. His commitment, his determination, his courage, his passion — and that of hundreds of thousands of other comrades, is why the British radical left is now in its most powerful position in the history of this country. I wish I had something profound to say about grief, but I don’t. In July, I lost my granddad, himself like a second father; in October, my partner’s mother took her own life; and now my father is gone. It has been a gruesome few months. One friend suggested to me that grief was like a landscape without a map. Another offered the quote, that grief makes you a stranger to yourself. The death of somebody is like a bomb going off in the lives of everyone around them. It really, really hurts. I’m just beyond grateful that I had time with him before he went — cancer is a “long goodbye” after all — and one last Christmas together as a family. So no, I don’t want to remember my dad on his deathbed as he slipped away. I’ll remember him taking a wrong turn in the car when we were kids, and us chanting in unison “daddy’s blundered — again!”. I’ll remember him on the edge of his seat watching his beloved Everton, whooping when they scored. I’ll remember him passionately talking about dramatic periods of history ranging from the US civil war to the fall of the Byzantium Empire. I’ll remember him dancing and clapping and singing along to The Band’s rendition of ‘Forever Young’ in the living room. He never lived to see socialism. But I’ve learned from dad to stand firm and resolute in the struggles ahead. What finer legacy than to renew the commitment to building a society rid of exploitation, oppression, bigotry and violence. That’s the society my dad always wanted to see. And, together, we must, and will, build it. Our last Christmas together, 19 days before he died.